Traveler Medical Group (San Francisco) - Book Appointment Online! To expedite the process, when making an appointment with us, please provide your insurance ID number in the notes section and some details about your visit especially if it's for a general consultation so we can best accommodate you. Staff physician on-call (24hrs/7days) for all major hotels,international airlines and our local patients for past 18 years. 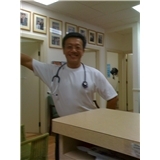 Traveler immunization center for bay areas business, residents & Hill Physicians Medical Group.